Baron Ferdinando Cefalù (Marcello Mastroianni) longs to marry his nubile young cousin Angela (Stefania Sandrelli), but one obstacle stands in his way: his fatuous and fawning wife, Rosalia (Daniela Rocca). His solution? Since divorce is illegal, he hatches a plan to lure his spouse into the arms of another and then murder her in a justifiable effort to save his honor. Janus is proud to present director Pietro Germi’s hilarious and cutting satire of Sicilian male-chauvinist culture. For the full schedule and more info, including films/events at UNH, please go here. Restored in 2017 by Synapse Films, distributed in the US by Criterion Pictures. Restored in 2018 by Cineteca di Bologna at L’Immagine Ritrovata laboratory from the original negative. With permission from Janus Films. 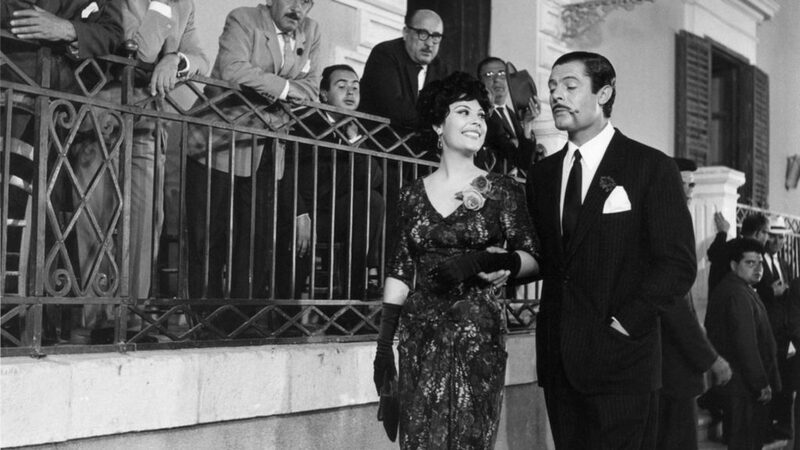 Each summer, the Cineteca of Bologna, one of Europe’s most renowned centers for film restoration—seat of the Charlie Chaplin and Pier Paolo Pasolini archives—presents a nine-day film festival featuring restored films, early silent cinema, and director portraits. During the festival, titled Il Cinema Ritrovato (Rediscovered Cinema), more than 500 titles are presented in six cinemas and on a giant screen at a free outdoor screening in the fifteenth century Piazza Maggiore, in Bologna, which turns into a 2,000-seat open-air movie theater for the entire summer (Sotto le Stelle del Cinema). Il Cinema Ritrovato has been defined as “pure heaven for cinéphiles.” The 33rd edition will take place in Bologna June 22-30, 2019. This year, The Music Hall is partnering with UNH to bring a number of films from Il Cinema Ritrovato to New Hampshire for the first time. Il Cinema Ritrovato On Tour!